Thanks for the information on the Andromeda Galaxy. 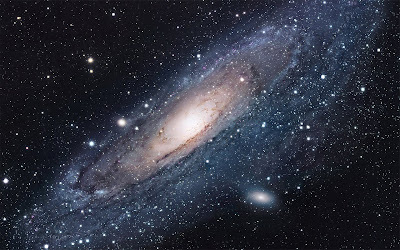 I'm very keen on astronomy, and in particular objects like the Andromeda Galaxy. It's hard to believe it's about 2.5 million years away. When you consider that one single light year is equal to almost 6 trillion miles, that's some distance! Sorry; I menat to say that the Andromeda Galaxy is about 2.5 million light years away, not just years!